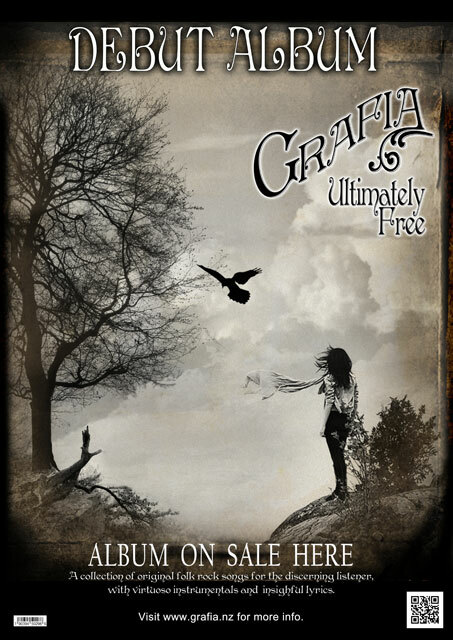 It's finally finished, GRAFIA's first album "Ultimately Free" is now in the shops. 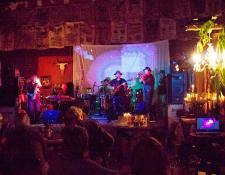 To celebrate we held release parties at Iberia Cafe in Masterton and Cactus Jack's in Waipawa. Cactus Jack's is Lee Walker's new live music venue, designed to to look like a wild west movie set complete with (simulated) bordello! The building started life as a grain store and was for many years a store room for the supermarket next door. 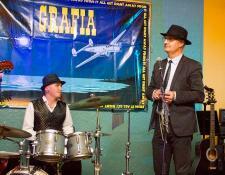 We were amazed by the excellent acoustics there, and had a wonderful evening.
" Grafia can be likened to a three-legged stool. The three core musicians , Rob Maunsell, Keith Austin and Stephan Schulz are the supporting legs, the music they make is the seat, and the result is this collection of original lyrically based contemporary Folk Rock. 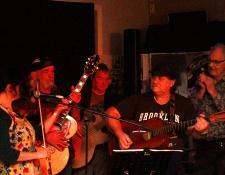 Rob writes the songs and sings, plays acoustic rhythm guitar and harmonica. Musical direction, keyboard and bass playing are Keith's domains. He also sings back-up vocals and produced the album. Stephan plays violin and recorder, weaving his improvisational magic. The band members come from diverse musical backgrounds. Stephan, the most classically trained, pursued violin and composition studies at University and now teaches music at a secondary school. Keith played classical piano for many years before discovering the challenges and joys of playing in rock bands. He’s also an expert at repairing and tuning pianos/keyboards, composing and arranging music in several genres. Rob brought his love of blues, folk and rock music to the task of writing the songs on this album. He performs them with passion and personal expression, adding rhythm guitar and harmonica. The musical platter Grafia has created offers a delightful experience, the songs are also stories, the instrumental musicality is enticing. The musical collaborators who have enhanced the songs have lifted the efforts of the core players to another level of creativity, and are hugely appreciated for their contributions. GRAFIA is an acronym for “Get Right Away From It All.” This is another step on that journey away from the ordinary, to develop and express an individual sound, share musical visions, and tell stories that can be related to by all." 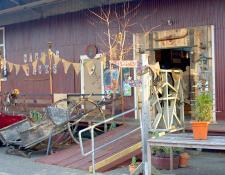 This listing is for all the events in the Wairarapa, not just GRAFIA's. Click on the calendar to view it.